It's International Left-Handers Day! To celebrate, check out which famous musicians are also lefties! Paul McCartney is perhaps the most famous 'lefty' in music. Rumour has it that when he was first given a guitar, he couldn't do a thing with it! Until he flipped it around. 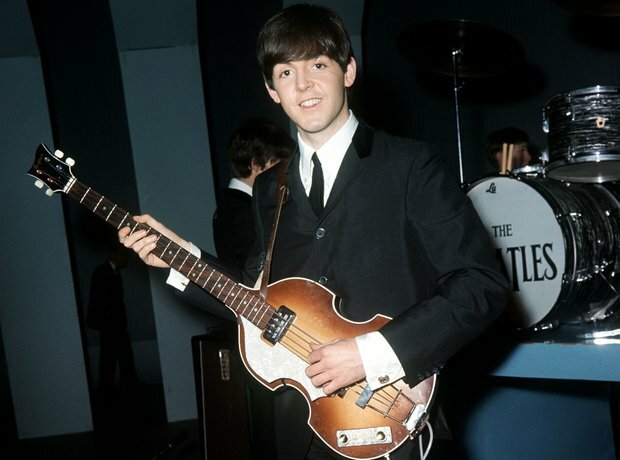 The Beatle can write and play drums with his right hand but when it comes to music he plays bass, guitar and any other stringed instrument with his left. The singer-songwriter writes with his left but learned the guitar with his right. Micky Dolenz (The Monkees) is right-handed, but plays a modified left-handed kit. He described the kit to Modern Drummer as: "Half-right, half-left. The bottom half is left-handed and the top is right-handed. I know it’s bizarre: I play the kick with my left foot and the snare with my left hand." The UB40 member is a true 'lefty' playing a left handed guitar. A purist! Left handed but the great Bowie chose to play a right handed guitar.